FSU Art’s Phyllis Straus Gallery cordially invites you for the final screening of the Films at Phyllis Straus series. Juan is a slacker who is trying to reconnect with his daughter, who is planning to rejoin her mother in Miami. Lazaro, Juan’s friend, is trying to connect with his own son, a persistent womanizer. They begin to notice that the locals are “going crazy,” through killing people and eating their flesh. The recently deceased are also returning to life. 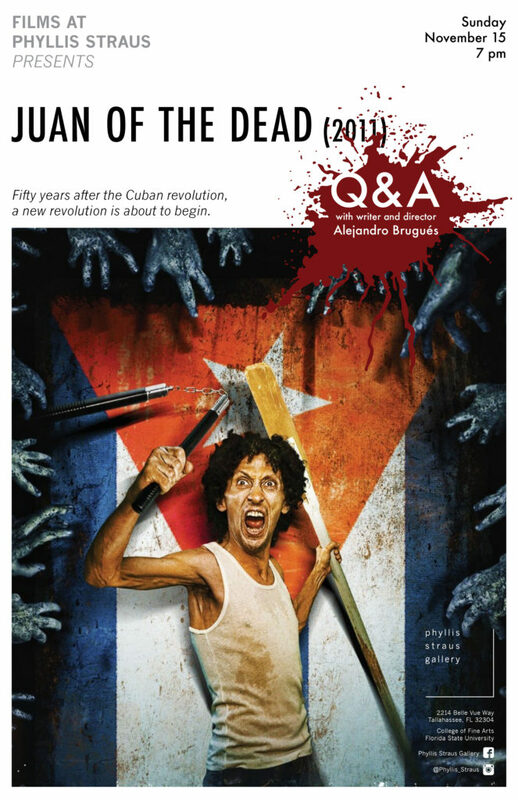 The Cuban government and the media claim that the zombies are dissidents who are revolting against the government. Juan decides to start a business to profit off of killing the zombies, but the group may soon find their own lives at risk.